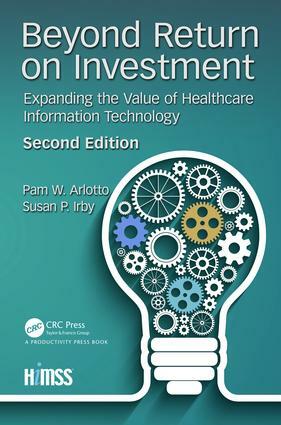 Beyond Return on Investment: Expanding the Value of Healthcare Information Technology, 2nd Edition this updated and revised edition provides lessons learned from healthcare IT adoption and the opportunity to drive value realization. From providing a basic primer on 'how-to' complete a Return on Investment analysis for a single project to developing a comprehensive program of value management to support the transition to high value healthcare, this book addresses emerging trends, practical approaches and measurement methods to help drive value. Beyond Return on Investment, 2nd Edition views IT as a strategic asset in the transformation of healthcare. Based on previous editions, this book updates and identifies the components of an integrated value management strategy including value driven decision-making culture, an integrated approach to strategy development, a value based governance model, a process that defines business case development through ROI analysis, value measurement and value scorecard development. New chapters in this addition include a Framework for Value Management, validating vendor defined value and ROI, and new methods for realizing value.